Home Culture and Etiquettes UP Lantern Parade, Shine your light! UP Lantern Parade, Shine your light! The University of the Philippines, being the best university in the country boasts its identity not only through it academicians but also through the annual programs led by the school. One of the annual programs that attract large number of people from Metro Manila and its neighbouring provinces is the UP Lantern Parade. The Philippines started celebrating lantern parades when the Spanish colonizers settled in the country, but the school began commemorating the ceremony in the year 1922. It was Jorge Bocobo, the UP President in the year 1934, who declared it to be an important school event so that the students have something to look forward to every end of the year. It is held in Diliman campus during the last day of classes before the holiday vacation. The different Colleges and Organizations of UP diliman and other UP campuses compete with each other to win the best lantern and performance of the year. Depending on the theme, the participants try their best to create their masterpiece and choreograph their steps or cheers. The College of Fine Arts, the best institution to study arts in the Philippines, have succeeded winning the prices consecutively from years 1929 to 1989. 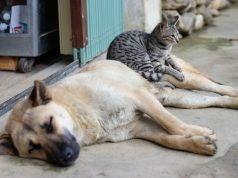 They have already been over qualified for the competition. The CFA’s lanterns have always been the standard of how the creations should look like ever since. The idea of this year’s parade is to strengthen the ability of the University to serve and care for the people hence its theme, “Maalab na Serbisyo Publiko ng Mapagkalingang Kampus” which means “An Earnest Public Service of a Caring Campus”. The light show was dedicated to the Typhoon Yolanda’s victims. All performers were in the grounds before 4 pm and the walk started at 5 pm and ended at 10 pm. The lanterns were made of relief goods like canned foods, slippers, school supplies and beverages. After the performances, the goods were collected to be delivered to the survivors. The College of Architecture dressed their students in costumes based on the popular infrastructures in the country. Amongst the buildings that were used as a model are the Cultural Center of the Philippines, Quiapo Church, and the Grand Mosque. 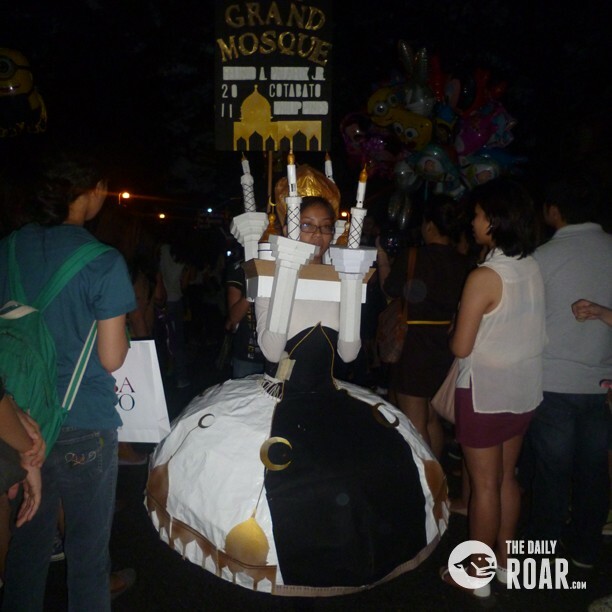 The UP National Institute for Science and Mathematics Education used slippers and umbrellas for their lantern. 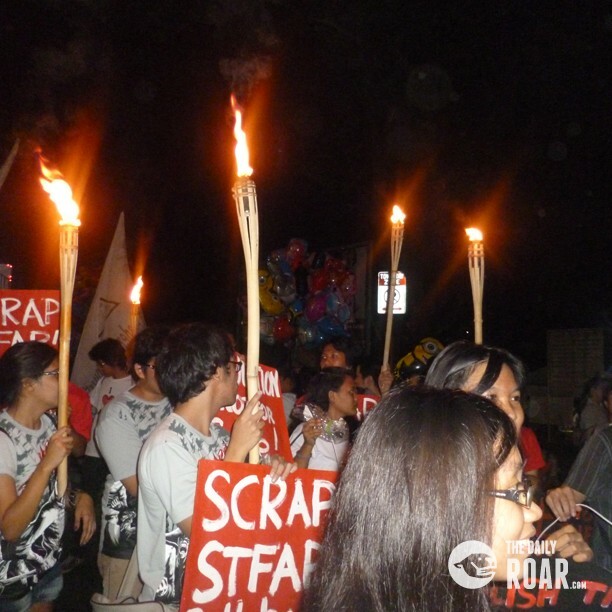 Stand-UP, voiced out their frustrations on the current administration with their banners and a vase-looking lantern. 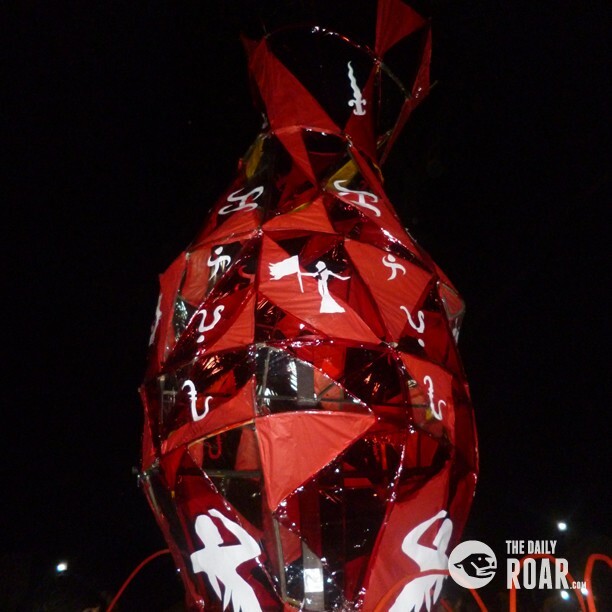 The Students of Destiny organization showcased a light show and ofcourse, the College of Fine Arts wowed the crowd with their gigantic lanterns that embodies the culture of the people from the Southern part of the Philippines.